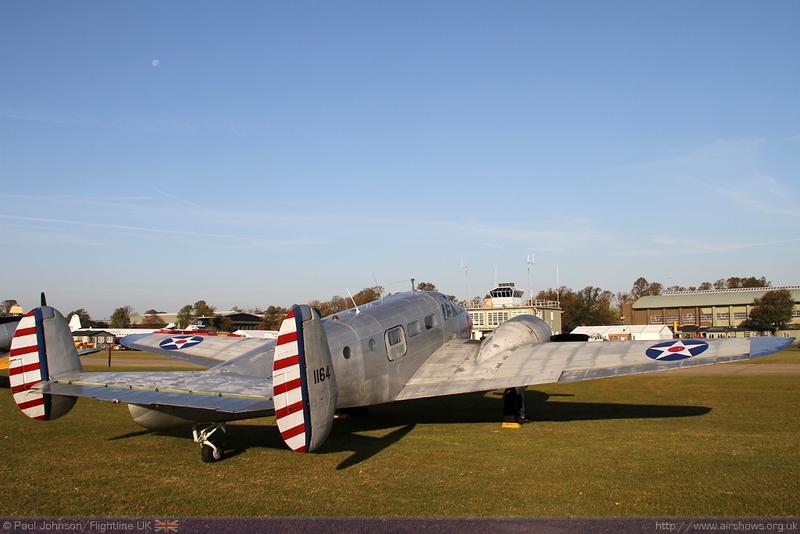 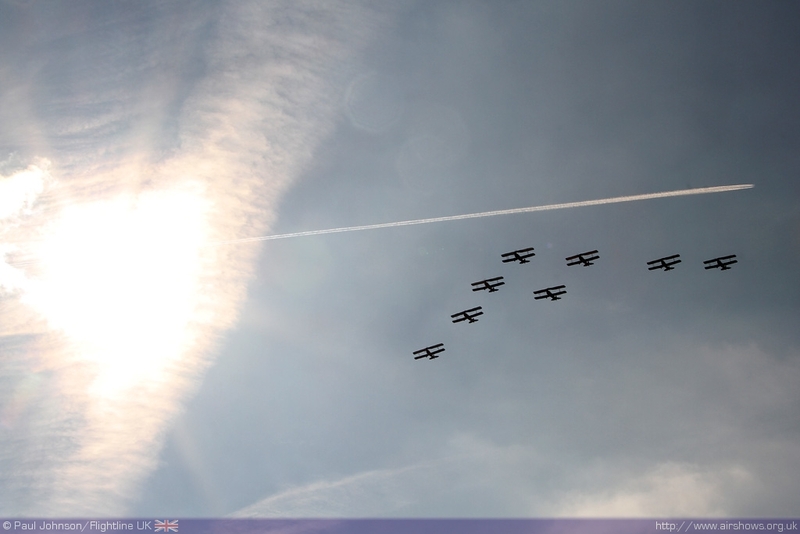 Duxford enjoyed some very welcome bright autumnal sunshine for the UK’s final airshow of the year in October. 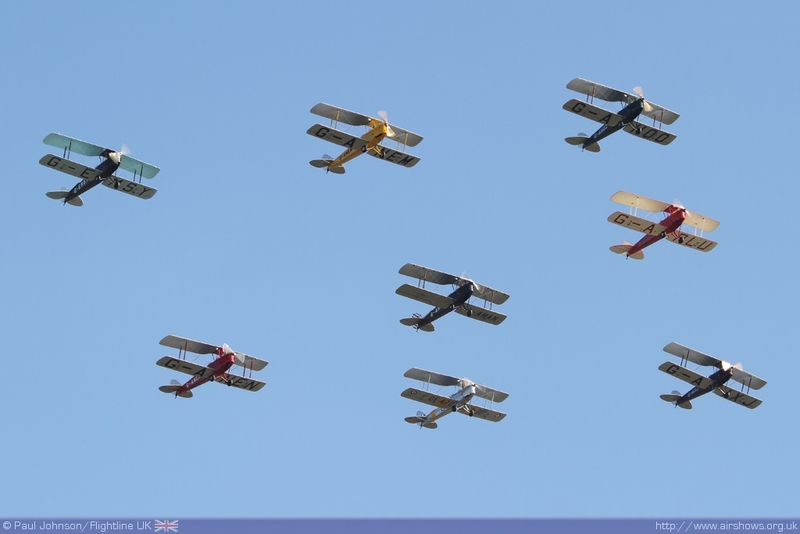 Unusually clear skies sat over Duxford right from the word go for the Autumn Airshow which commemorated the 60th anniversary of the Korean War and the 80th anniversary of the de Havilland Tiger Moth. 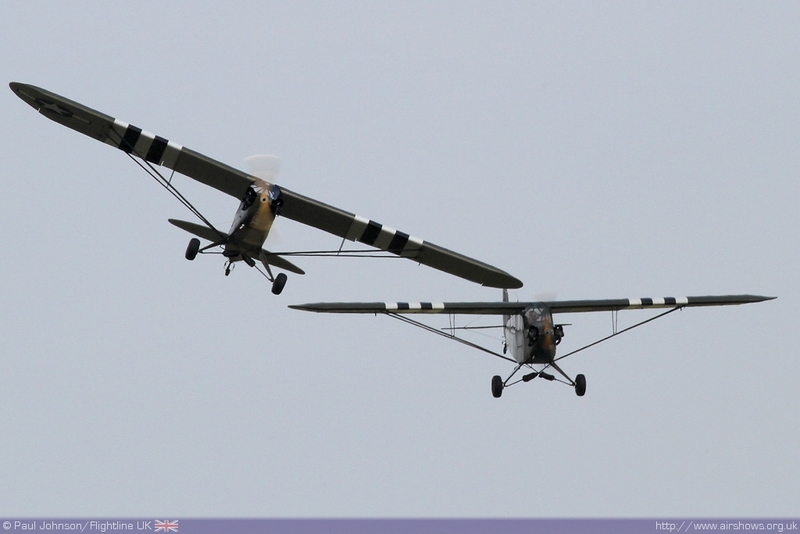 The two themes brought together a satisfying varied mix of participants from the elegant yet delicate Tiger Moths right through to the power and spectacle of the Belgian Air Component F-16 Fighting Falcon. 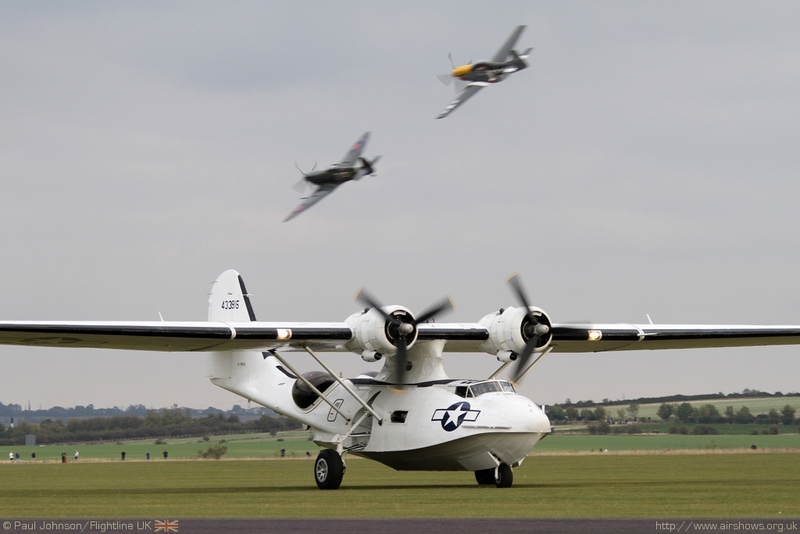 The Autumn Airshow at Duxford has grown from a short two hour display from whatever was available so late into the season into a fully developed major air display during the last decade or so. 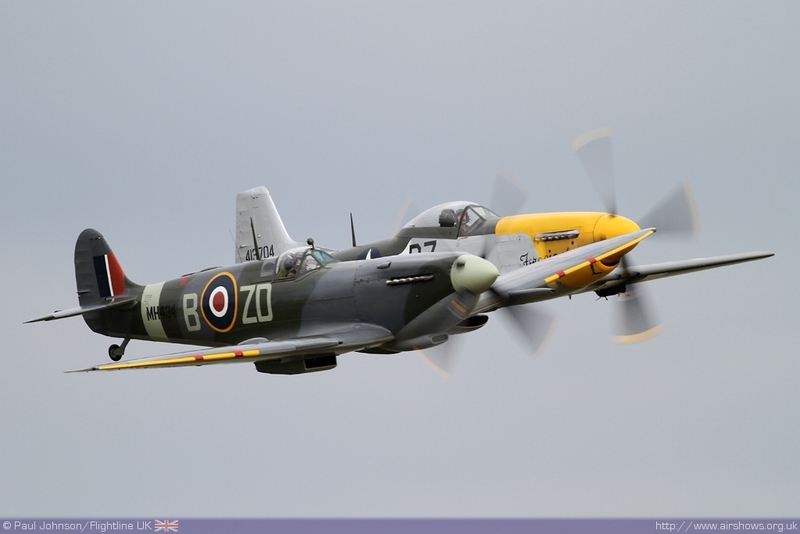 It is very much the equal of IWM’s May and September shows attracting significant participation from across Europe as well as Duxford’s own group of operators. 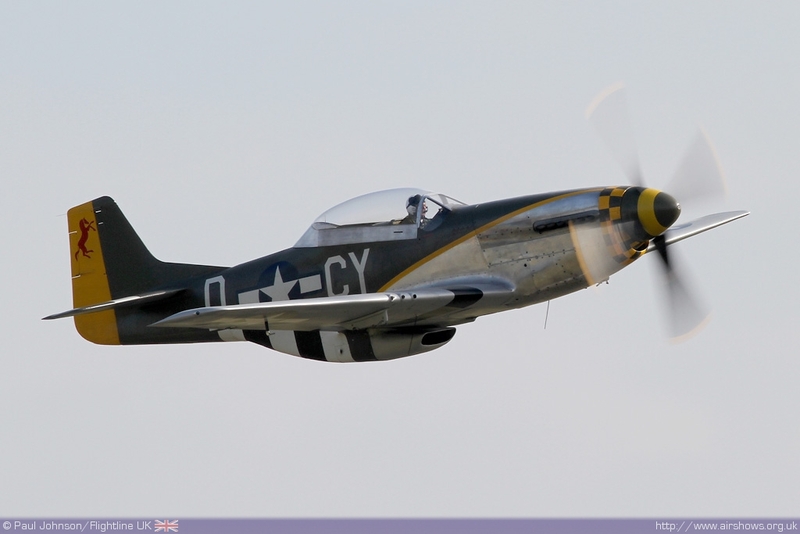 Indeed, some autumn shows have been regarded as the best of the season in recent years. 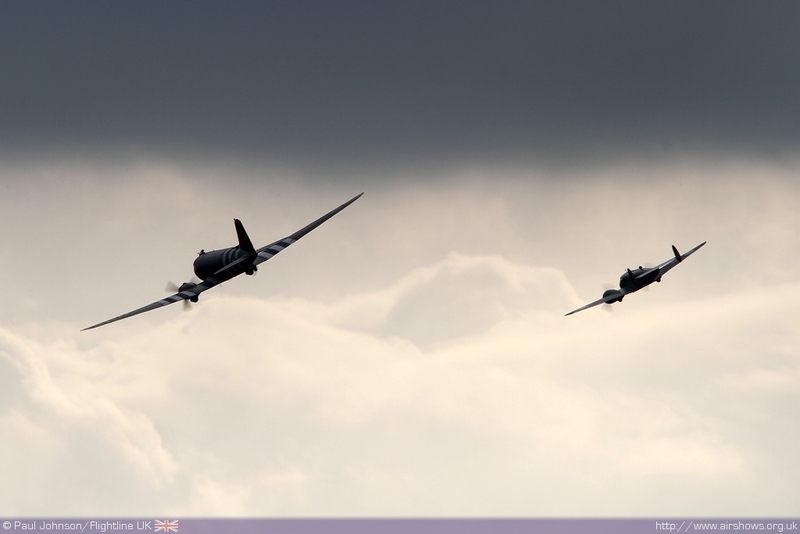 The weather for these events has not always been kind. 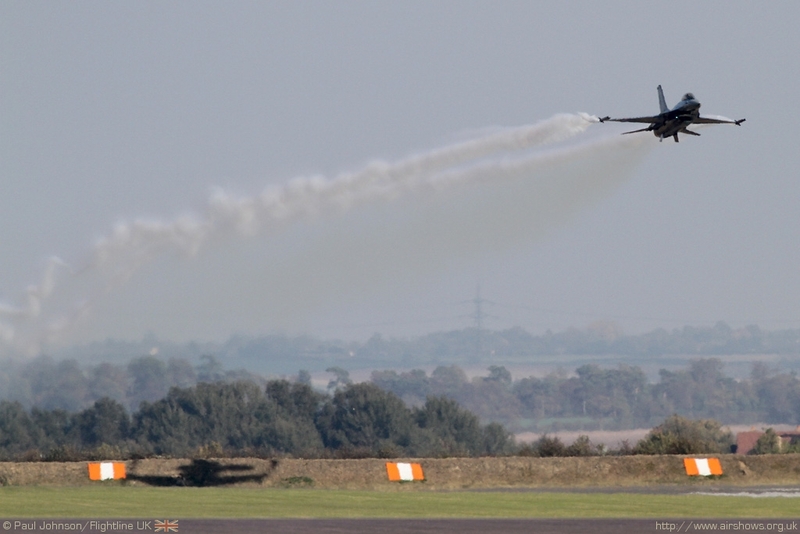 Wind and rain has affected a few of the Autumn airshows, but when the weather comes right as it did in 2011 the end of season atmosphere and low autumnal sunlight makes this particular event very special. 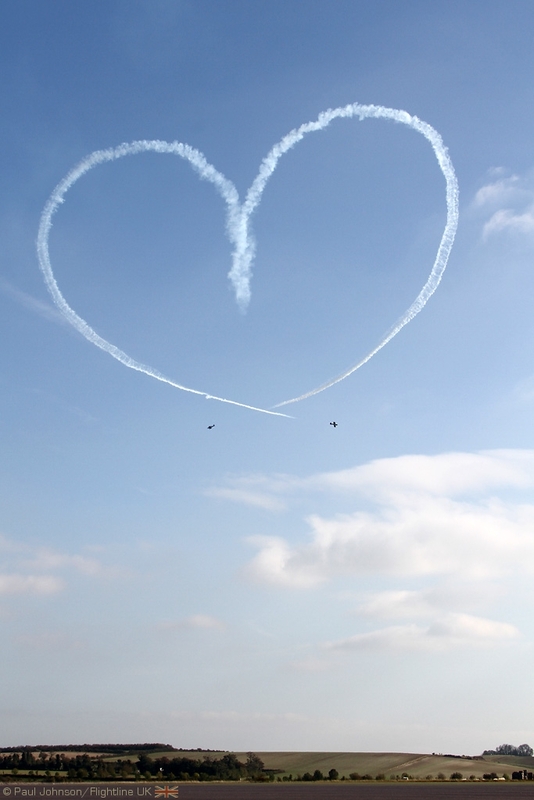 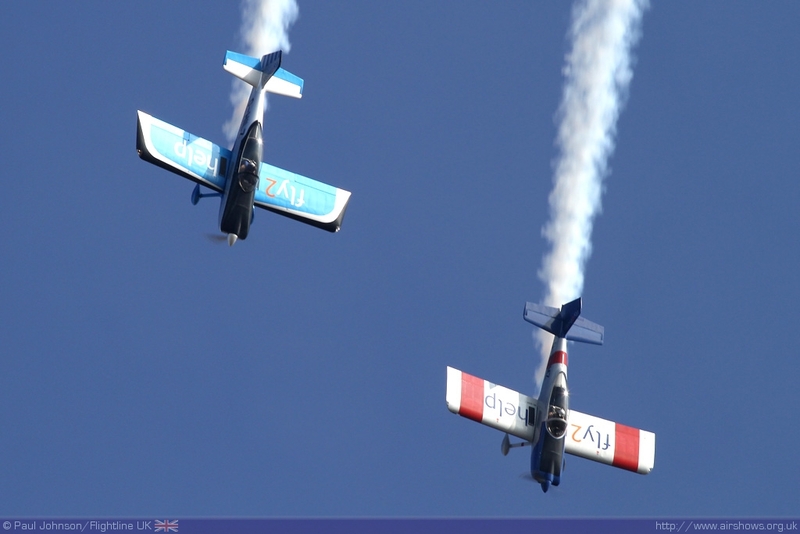 October often brings mist and fog for the early part of the morning, and this has affected the last few Autumn Airshows, but the skies were surprisingly blue and clear over Cambridgeshire this year despite the very cold start! 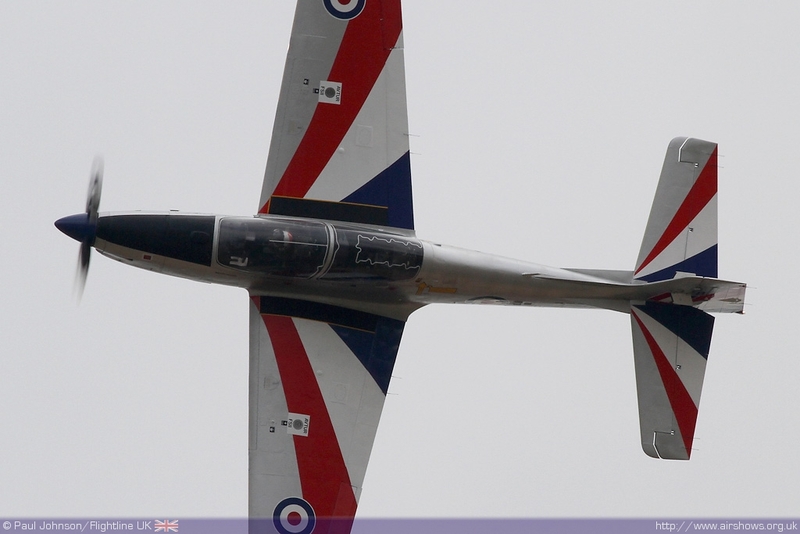 I can’t remember the last time I had the scrape the ice off the windscreen of my car for an airshow! 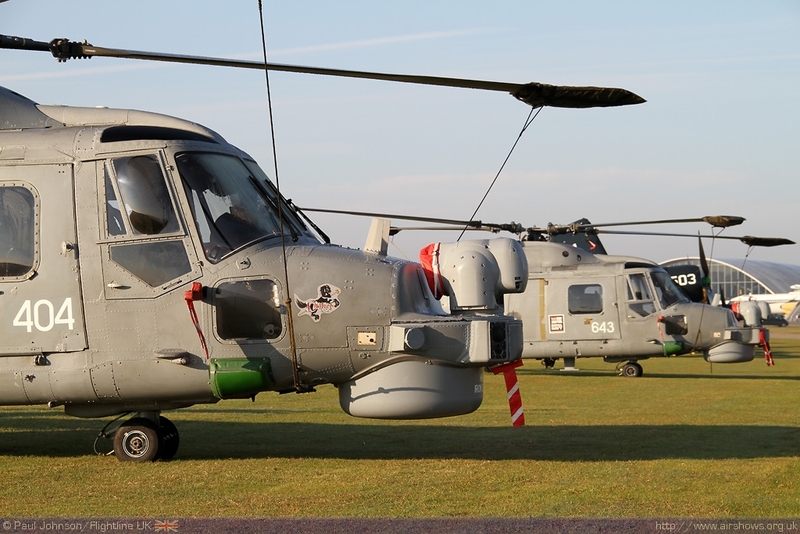 Somewhat bizarrely however, Duxford Autumn Airshow does seem to have a history of featuring a number of UK display debuts and 2011 was no different. 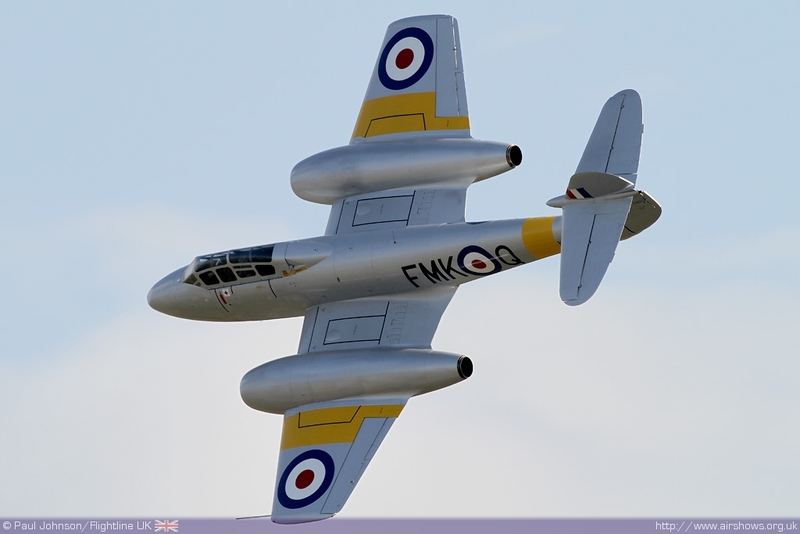 Air Atlantique’s Gloster Meteor T7, the Aircraft Restoration Company’s de Havilland Canada Beaver and the Real Aeroplane Company’s Yakovlev Yak-18A all made their flying display debuts in 2011 as part of the Korean War theme. 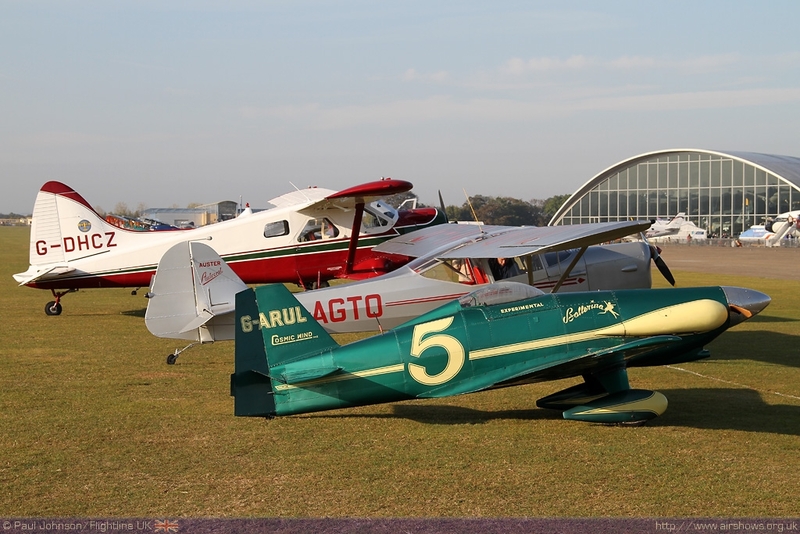 As well as aircraft in the sky, the Autumn show also featured a number of static participants. 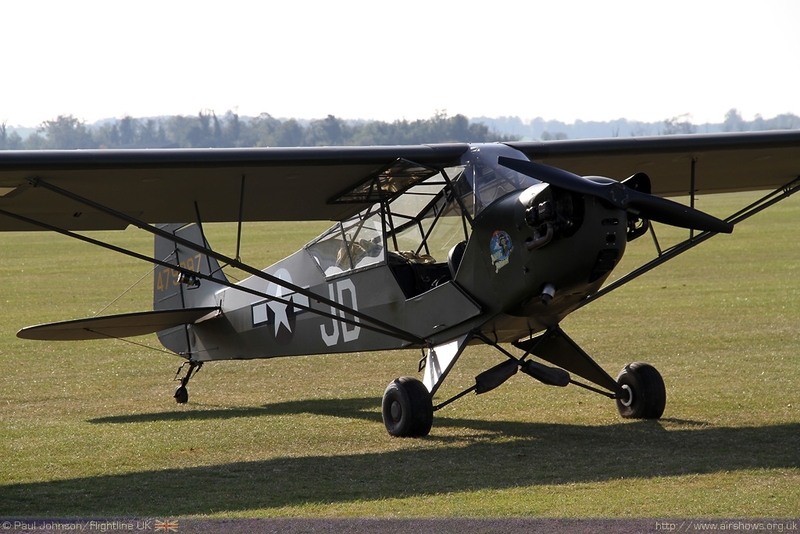 Part of the line-up for the Korean War theme was the Stinson L-5 Sentinel alongside a gaggle of Piper L4 Grasshoppers. 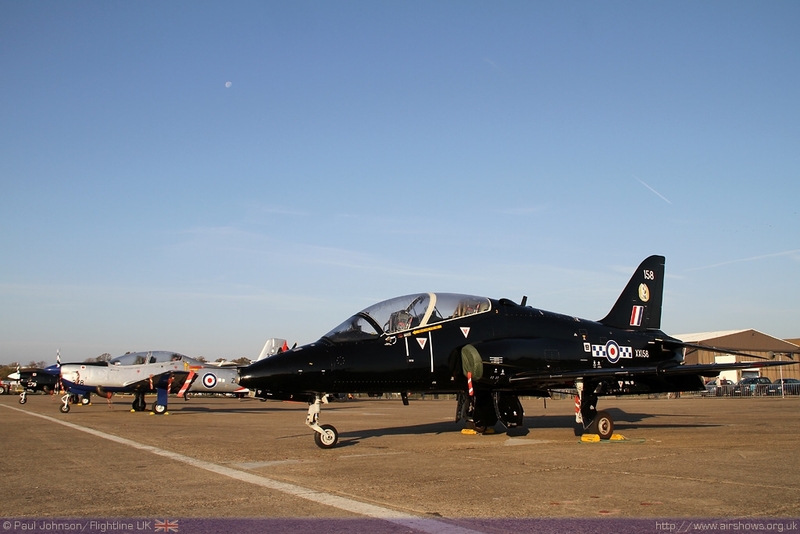 Sadly, the Royal Air Force Hawk solo display was unable to attend, but RAF Valley was represented by a Hawk T1 from 19(R) Squadron. 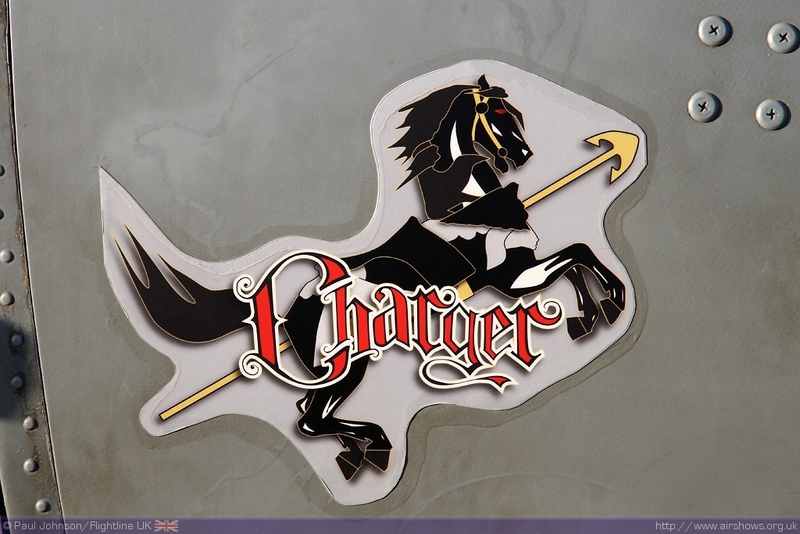 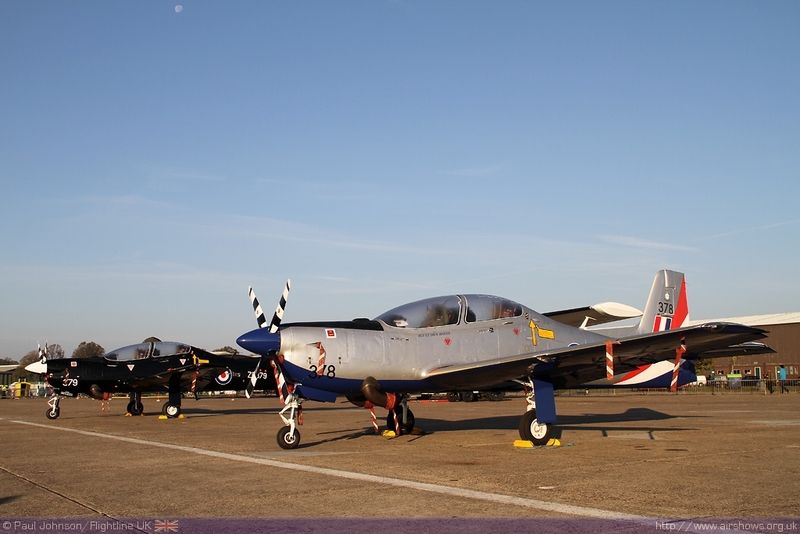 No 19 Squadron will dispand in November and its fleet of Hawk T2 trainers will take on the 4(R) Squadron number-plate. 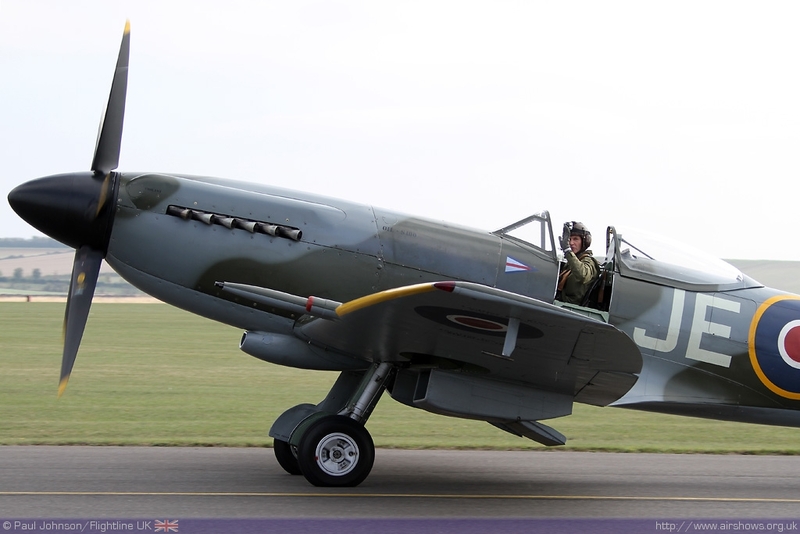 19 Squadron are a famous Duxford unit having been the first squadron to take on the Spitfire at the Cambridgeshire base so it was a poignant farewell. 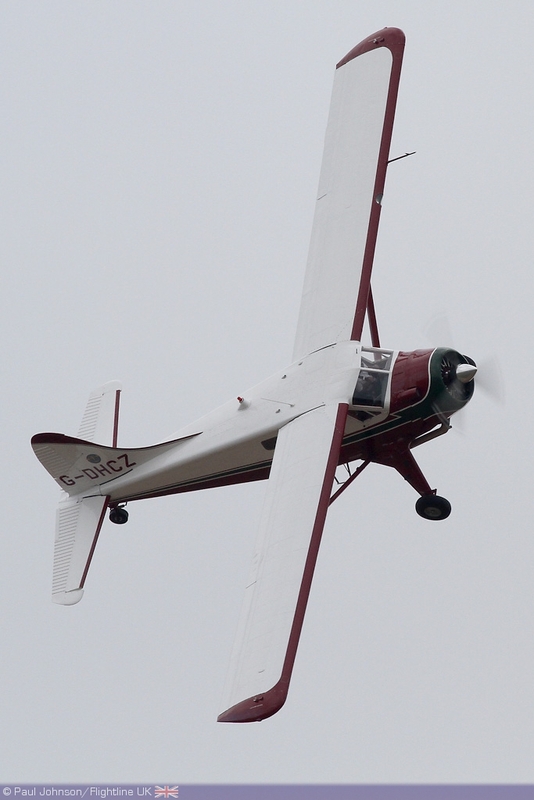 The flying displays got underway with a number of home based items. 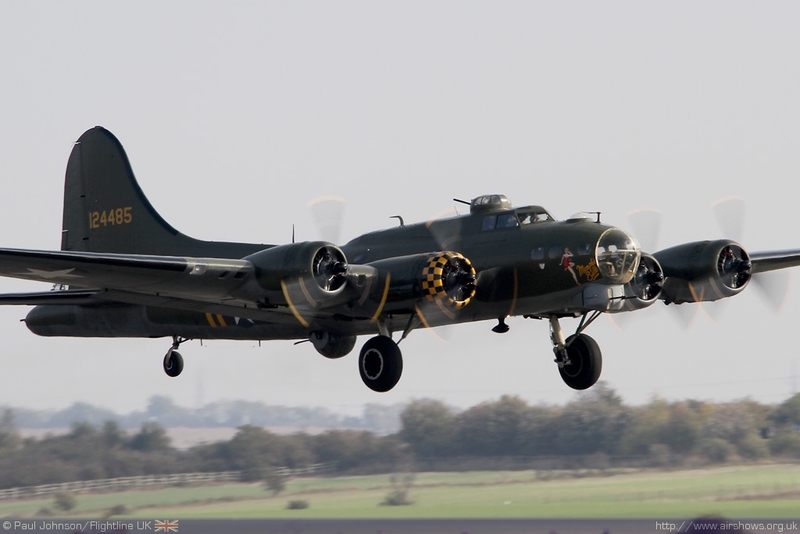 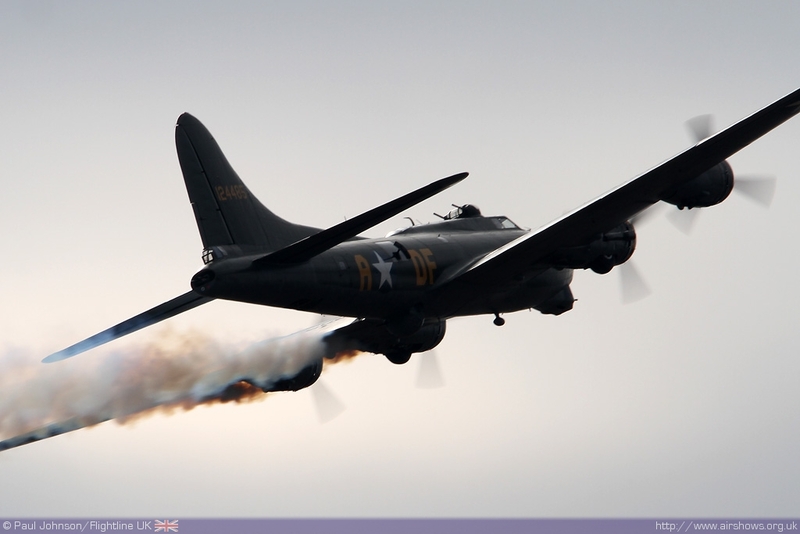 First to display was B-17G Flying Fortress Sally-B which is always a superb sight over Duxford, but particularly in such perfect conditions. 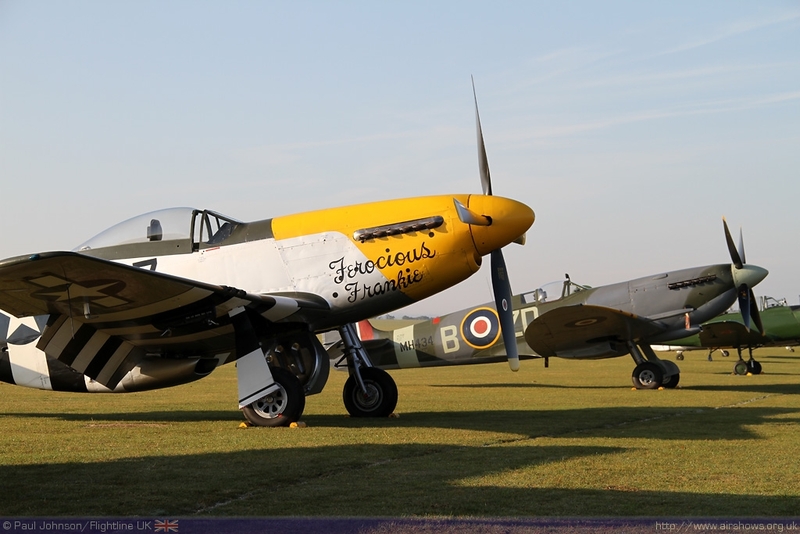 She was immediately followed by the Fighter Collection displaying their North American TF-51D Mustang and Supermarine Spitfire XIV as the first part of the flying devoted to the Korean War. 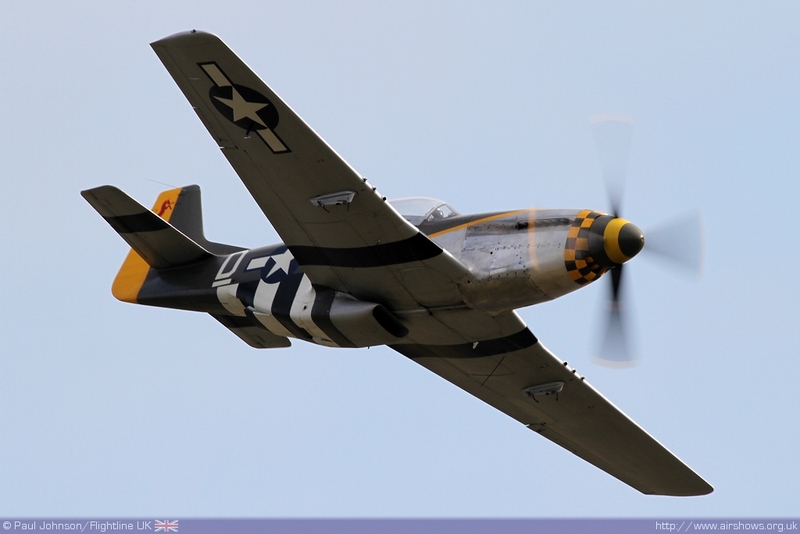 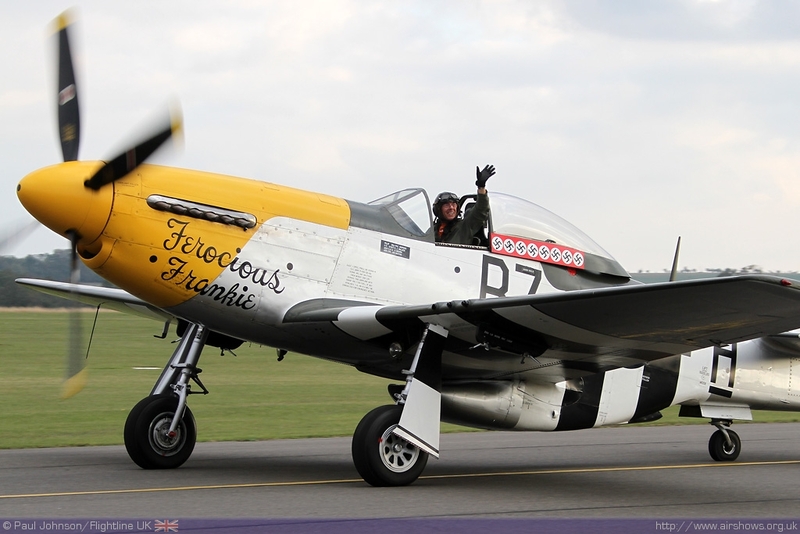 TFC’s TF-51D Mustang Miss Velma, flown by Stephen Grey, was a particularly apt addition to the flying displays as itself served in Korean during its United States Air Force service. 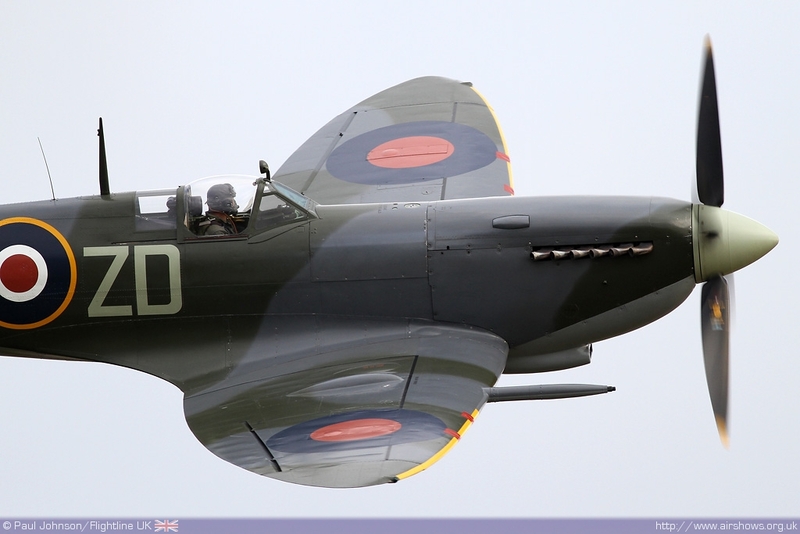 TFC’s Spitfire XIV was a late addition to flying filling in for the Collection’s Sea Fury T20 which was sadly unserviceable. 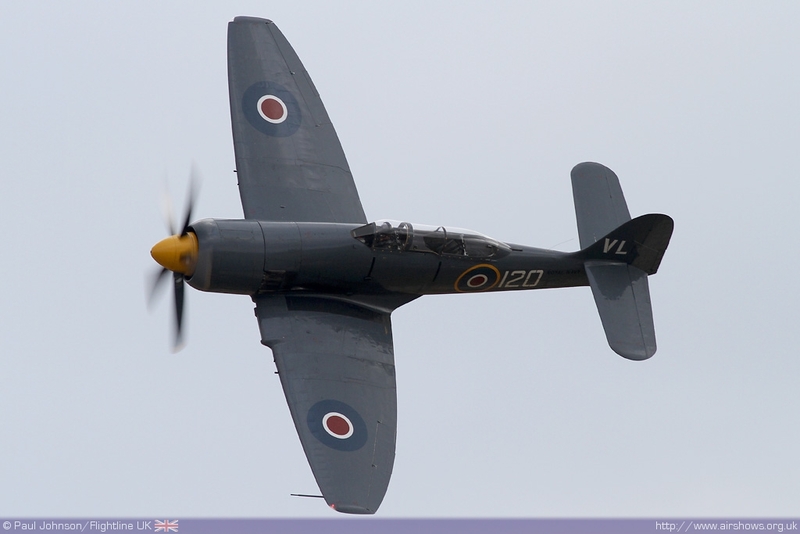 It did however provide a fitting reminder of the powerful Griffon engines Seafire 47s that served in Korean off the decks of Royal Navy carriers. 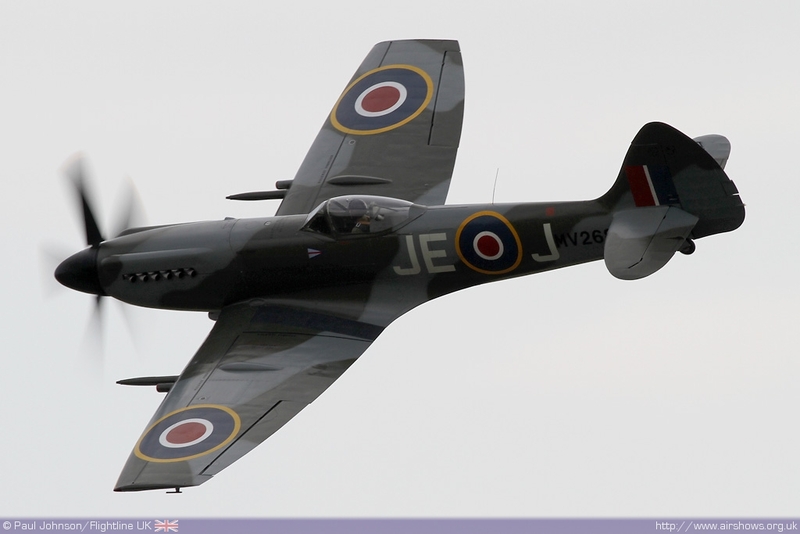 Pete Kynsey put in a superb aerobatic sequence in the growling fighter. 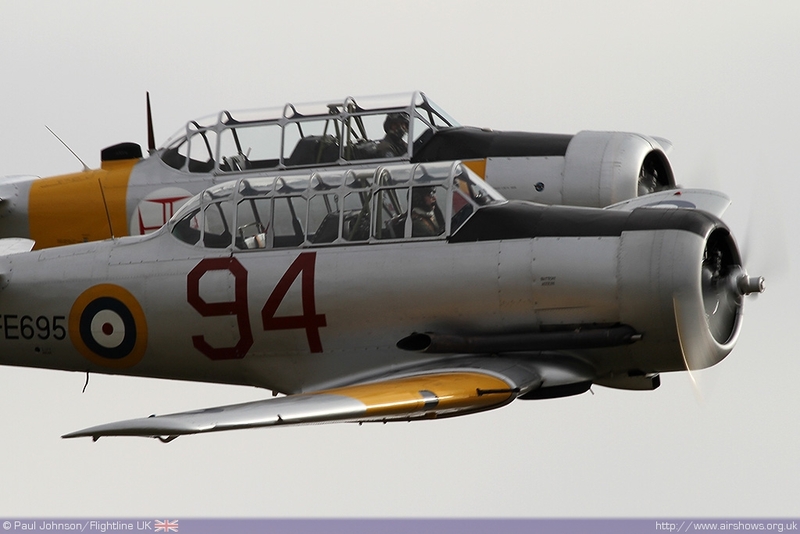 The Korean theme was continued by the next display flown by Anna Walker and Dave Ratcliffe; a pair of T-6 Texans from the Fighter Collection and the Aircraft Restoration Company. 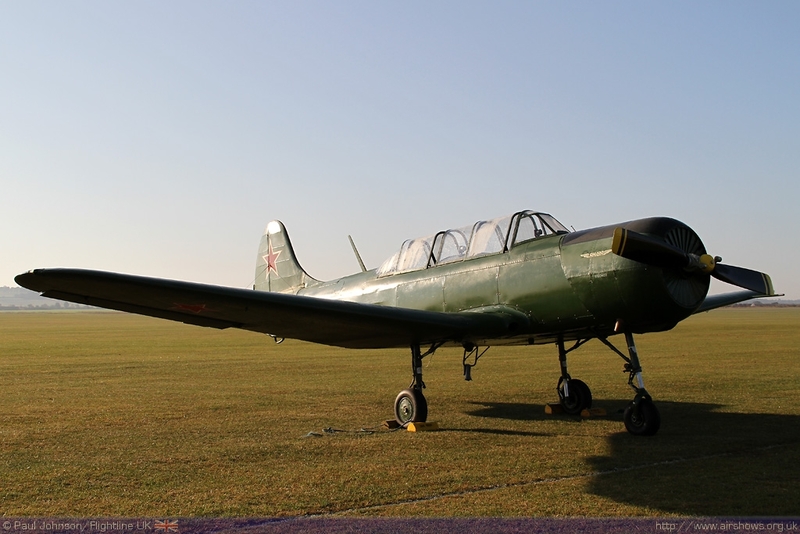 While T-6s may not stand out as particularly warlike aircraft, they were used in the close air support role from UN led forces. 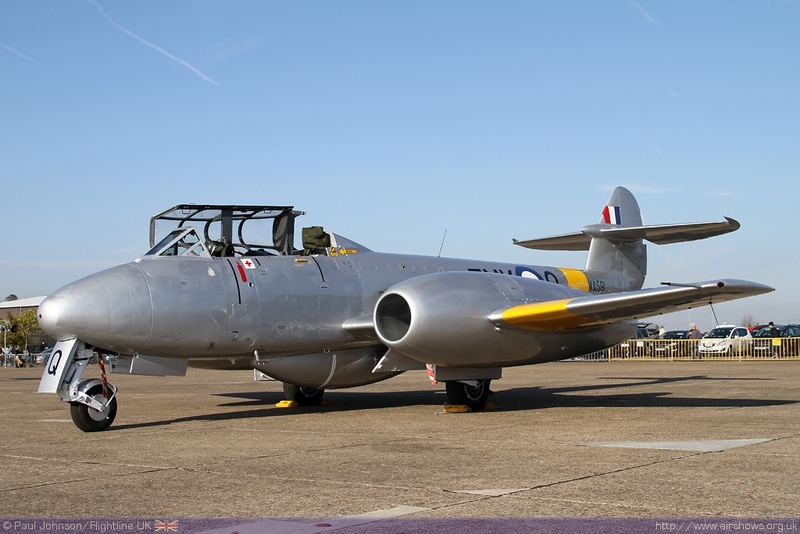 The theme continued with what was the star of the show for many, the Meteor Flight’s newly restored Gloster Meteor T7 representing the F8s flown by the Royal Australian Air Force. 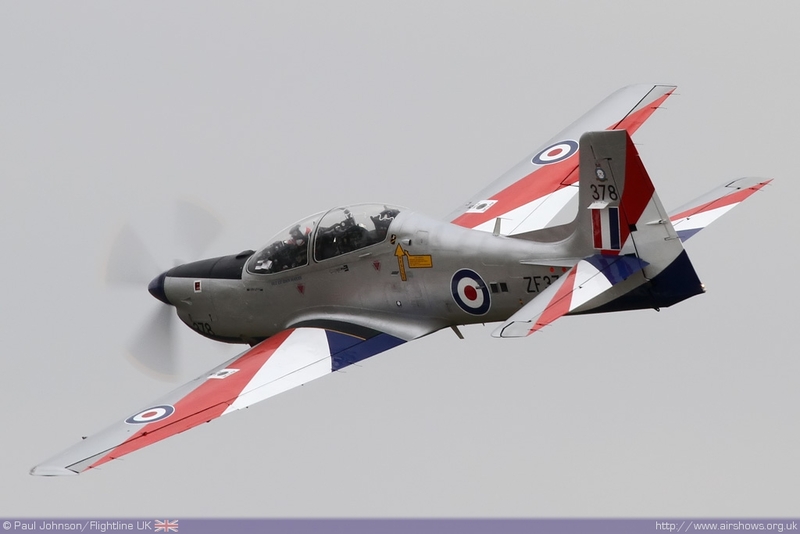 The aircraft has made static appearances at the Cotswold Airshow and at RIAT, but this was its first appearance in its RAF Training Command markings and as a flying display item. 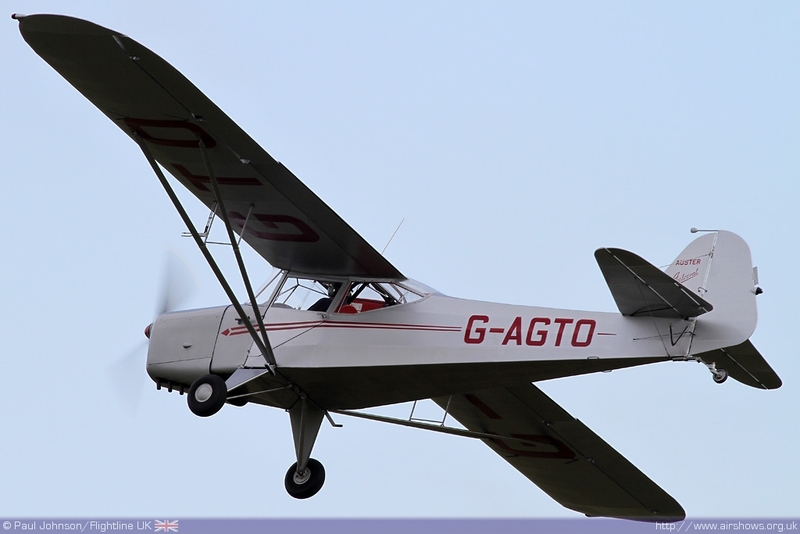 Dan Griffiths put on a superb demonstration in the jet showing off the lines and performance of the jet which will hopefully allow more pilots to fly this aircraft and Air Atlantique’s Meteor NF11 in the future. 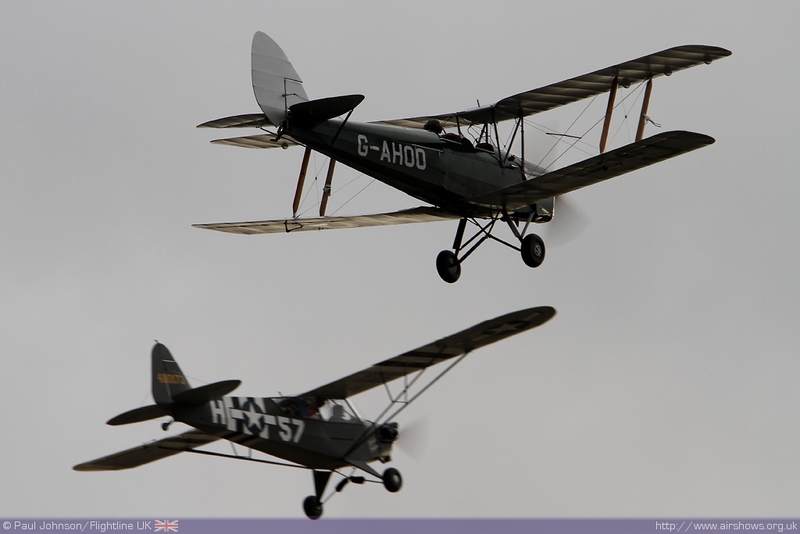 Another theme of the show was the 80th Anniversary of the de Havilland Tiger Moth of which there were eight examples flown by the Tiger Nine Display Team. 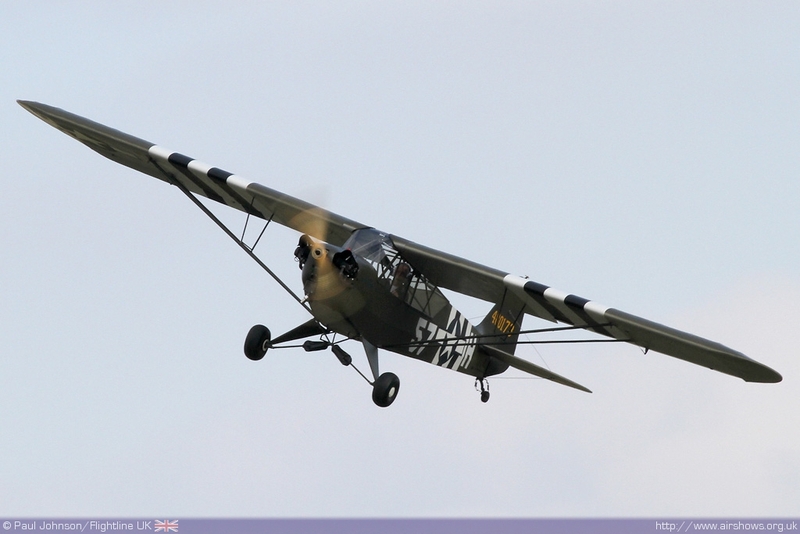 As well as a wonderful display of the Tiger Moth, the team themselves are something of an airshow throwback being a reminder of the wonderfully British Diamond Nine team that flew at many major events in the 1980’s and 1990’s. One of the modern day successors to the Tiger Moth is the Shorts Tucano T1 which was the sole Royal Air Force participant in the flying programme. 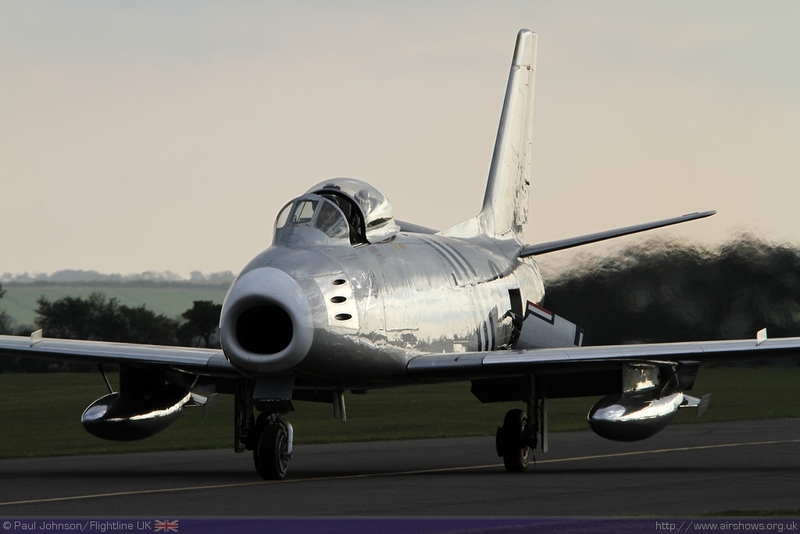 Flt Lt Dan Hayes put in his last public display in the display team’s specially painted silver aircraft. 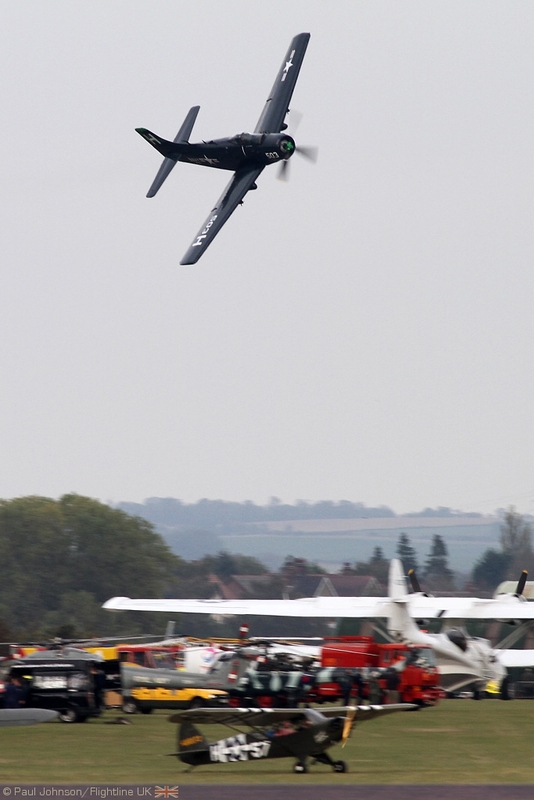 More silver aircraft came from the only civilian display team in the flying, the RV8tors. 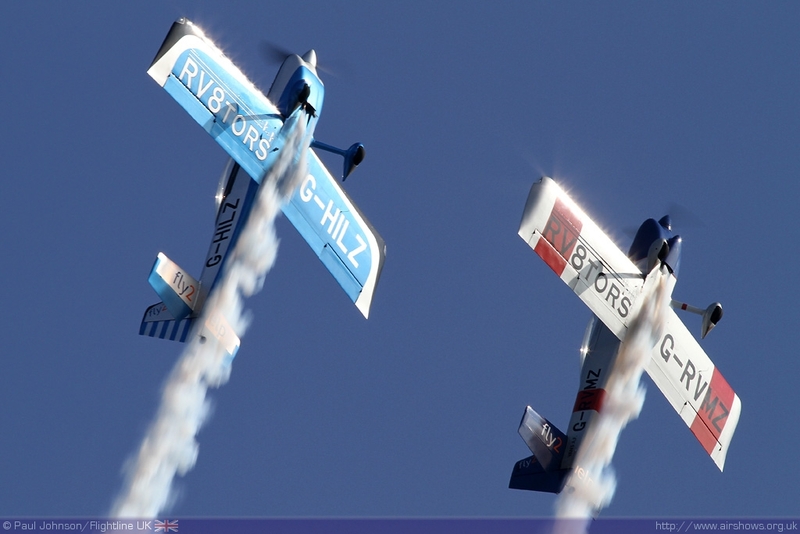 The two Vans RV8 aircraft flown by Alister Kay and Andy Hill and put on a punchy close formation and synchronised aerobatics routine. 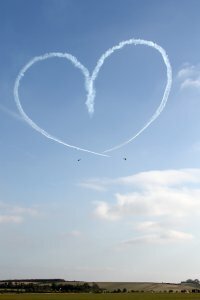 They have been a popular display act up and down the country and drew one of the first rounds of applause of the day from the Duxford crowd. 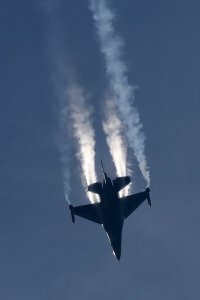 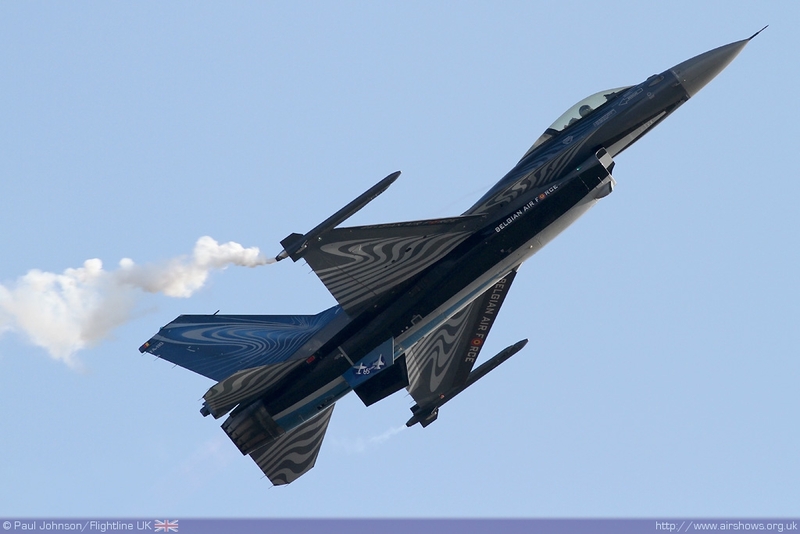 The only military fast jet ain the display was the Belgian air Component’s F-16AM Fighting Falcon solo display flown by Michel ‘Mitch’ Buelen. 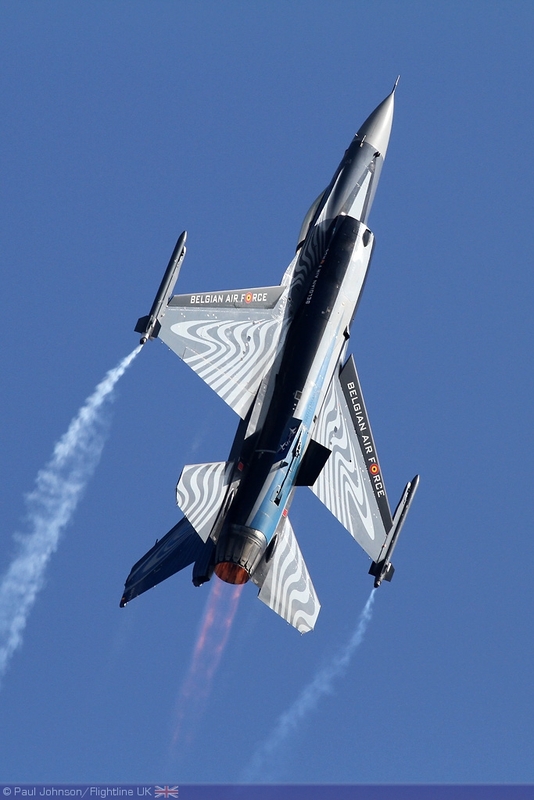 The Belgian F-16 demo team have become welcome regulars at Duxford Autumn Airshows but this year’s appearance was particularly significant as it was Mitch’s last public display after three years as the demo pilot. 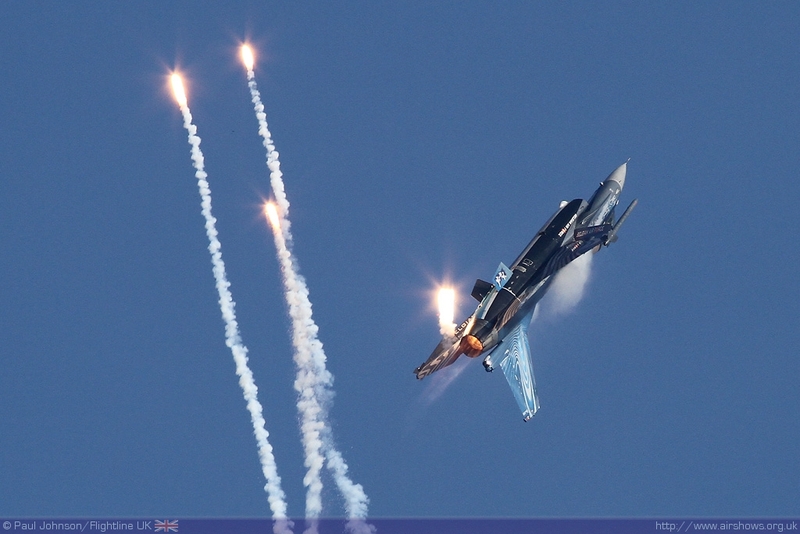 Mitch has always put on sharp powerful displays in the F-16 wherever he has appeared and his last display was no different complete with some surprise releases of flares! 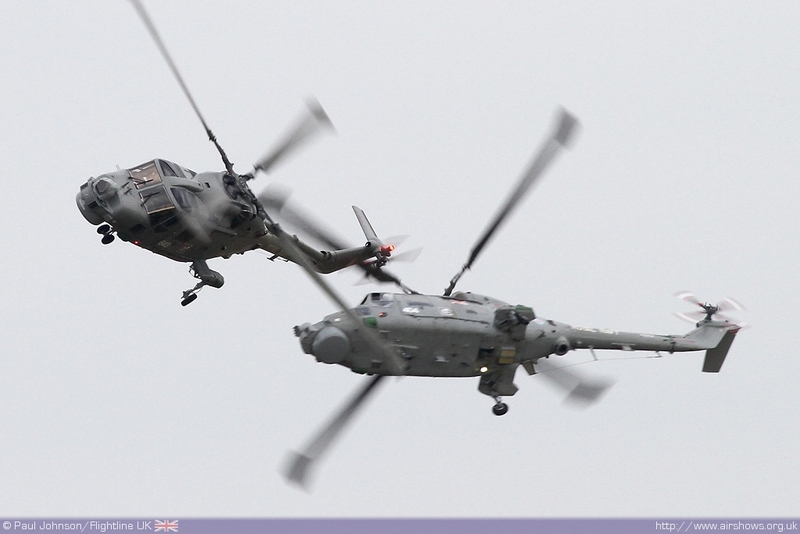 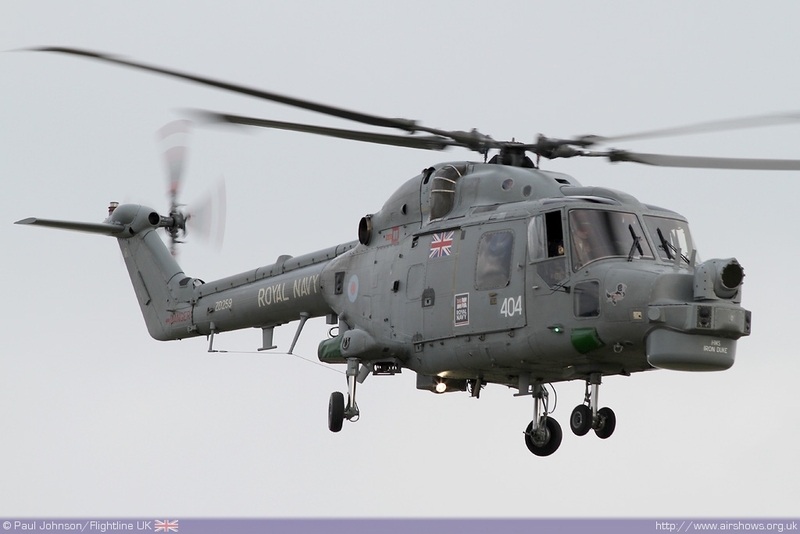 Completing the modern military line-up were the two Westland Lynx HMA8 helicopters of the Black Cats Helicopter Display Team with their precise aerial ballet of rotary flying. 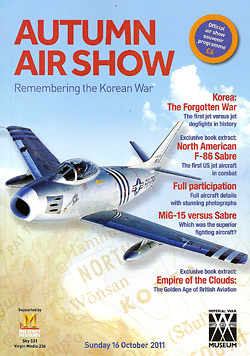 The Korean War theme presented a wide range of types for display and the line-up was not just restricted to the glamorous warbirds and fast jets. An interesting segment of flying was provided by some of the lighter but no less important types that flew in the conflict. 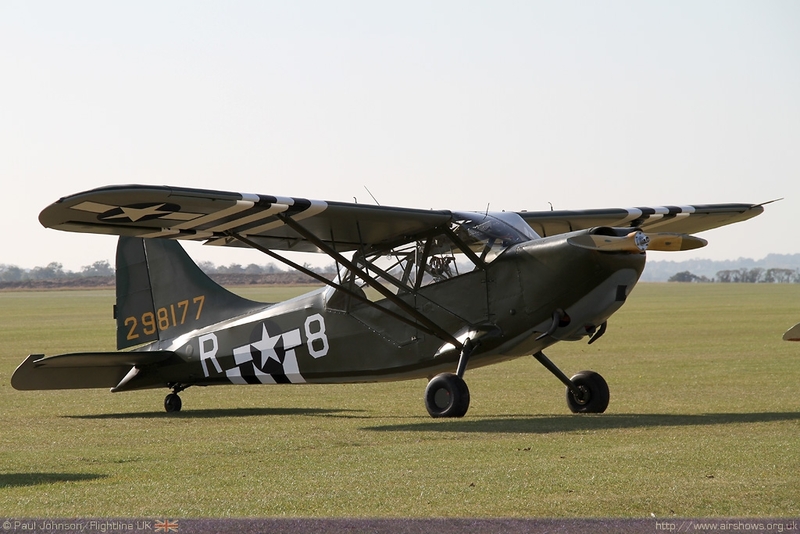 Allied aerial spotter and liaison types were represent by a pair of L-4 Grasshoppers, Mark Miller’s Auster J-1 Autocrat and Justin Needham’s Cessna L-19 Bird Dog; the latter making its long overdue Duxford debut. 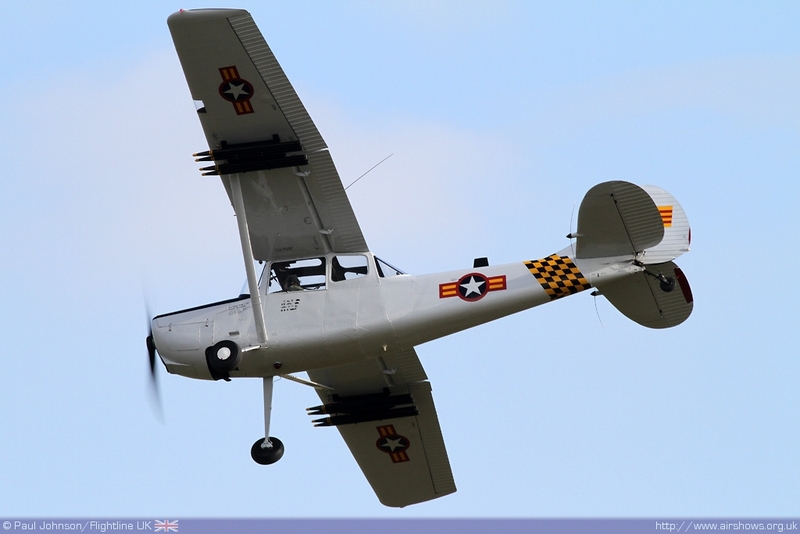 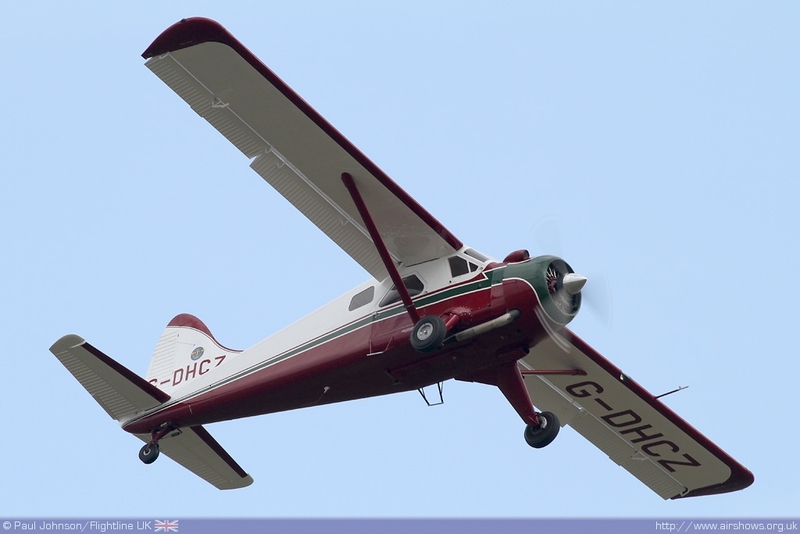 Another debutant was ARCo’s de Havilland Canada DHC-2 Beaver representing the L-20 Beavers that served with the USAF during the Korean Conflict. 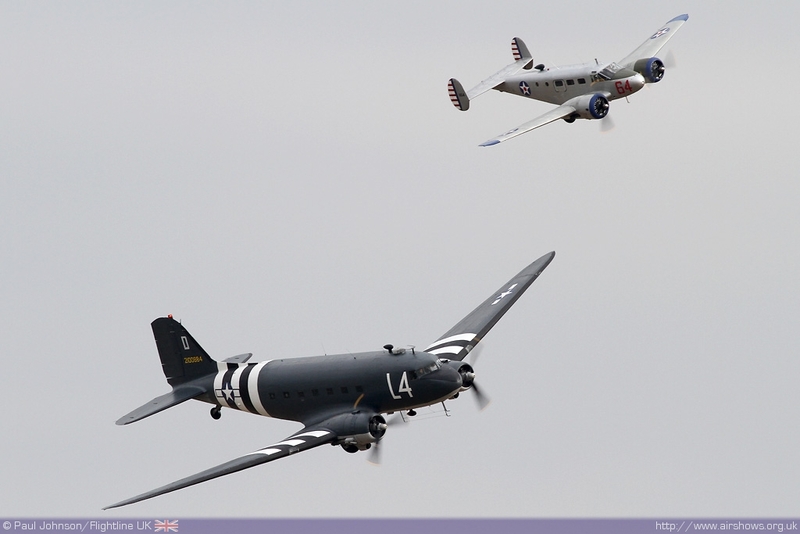 Much larger transport types also got a ‘look-in’ with an elegant duo display from ARCo’s Beech C-45 Expeditor and Aces Highs’ C-47 Skytrain (Dakota.) 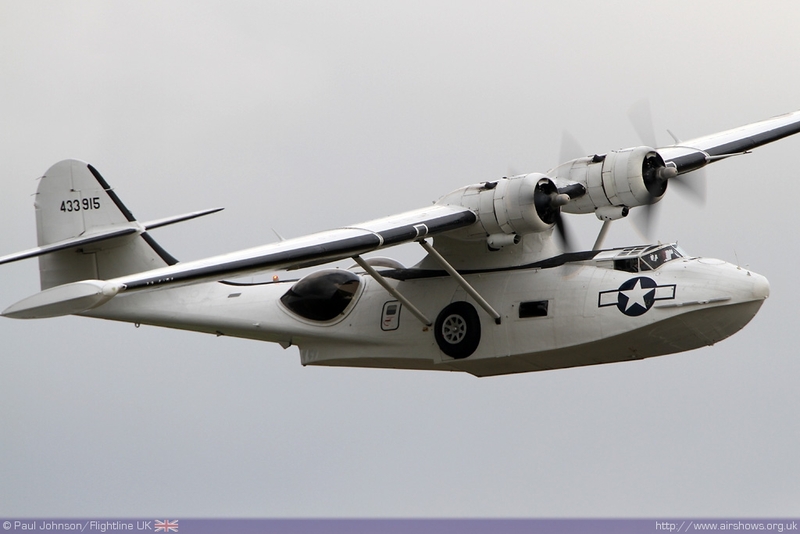 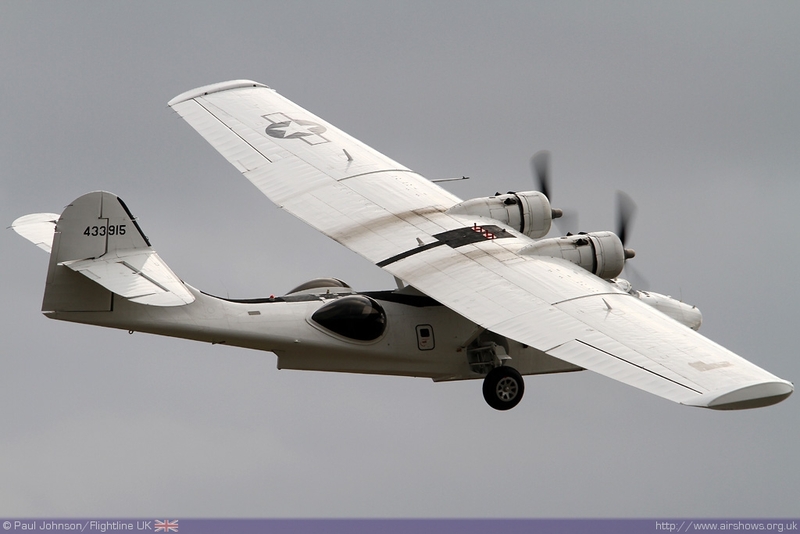 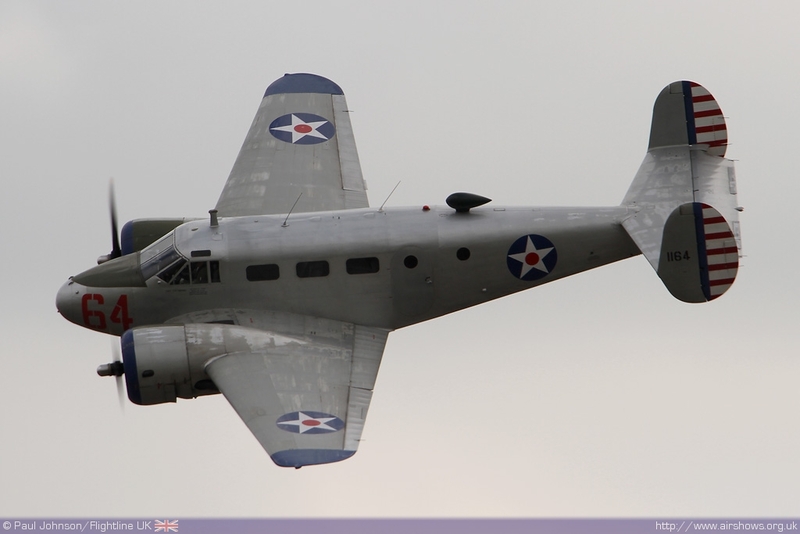 Another large type was Plane Sailing’s Catalina which is painted as a Second World War OA-10 air sea rescue aircraft. 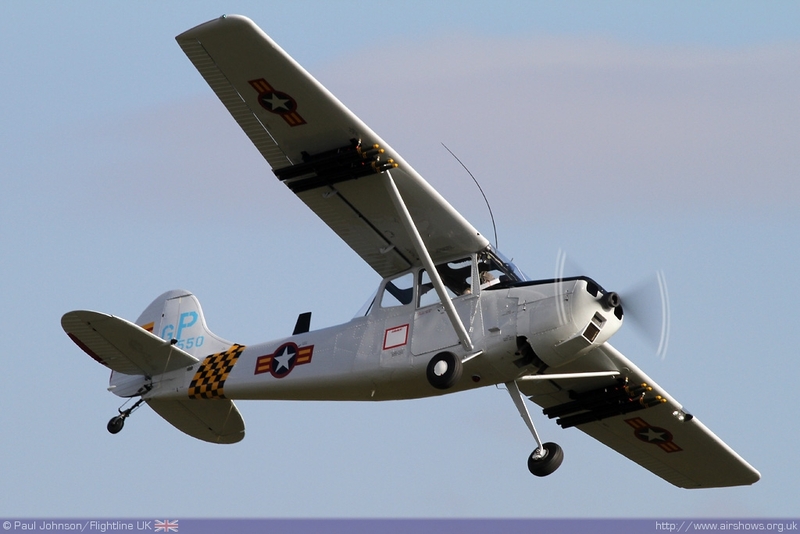 OA-10s went on to serve in the USAF and were used in Korea flying over the Tsusihma Strait between Japan and Korea looking for downed UN airmen. 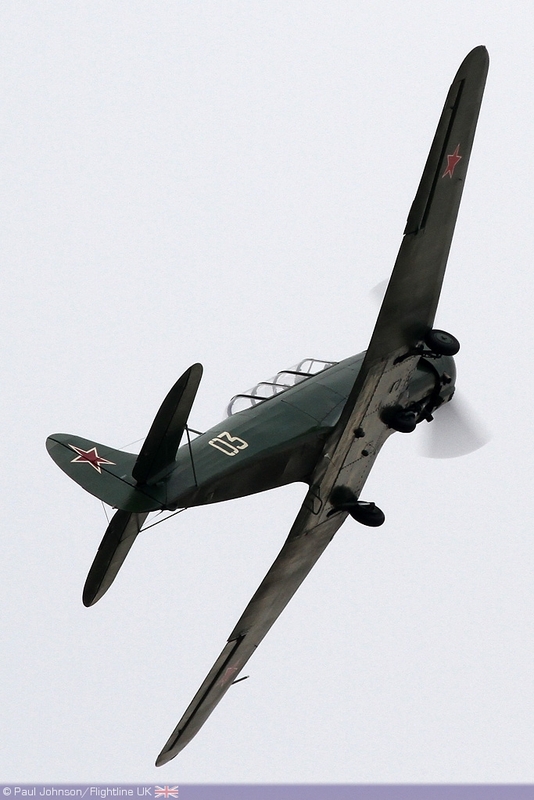 The only representative of a North Korean operated type was the Real Aeroplane Company’s newly acquired Yakovlev Yak-18A. 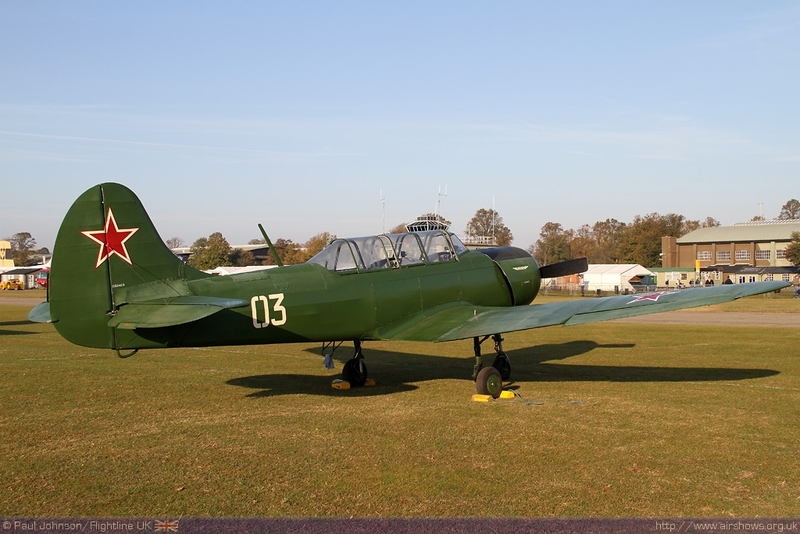 Primarily used as a trainer, the North Korean Air Force also used the Yak-18 for night time harassment raids. 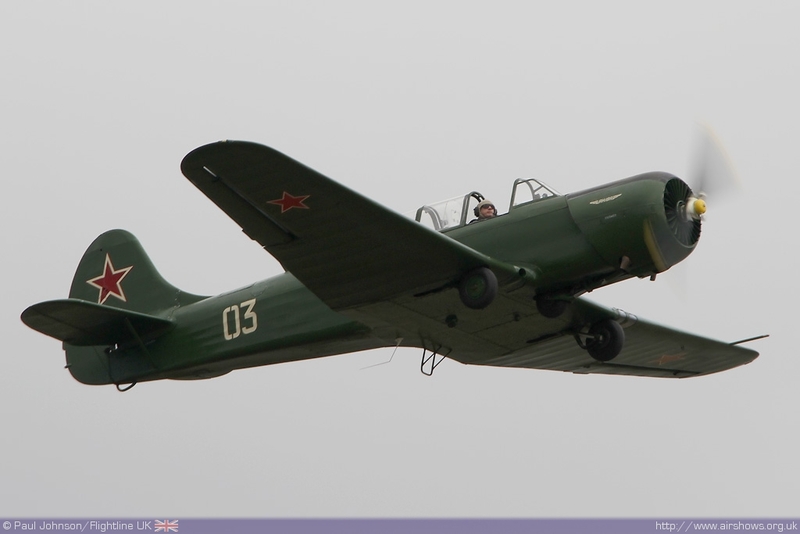 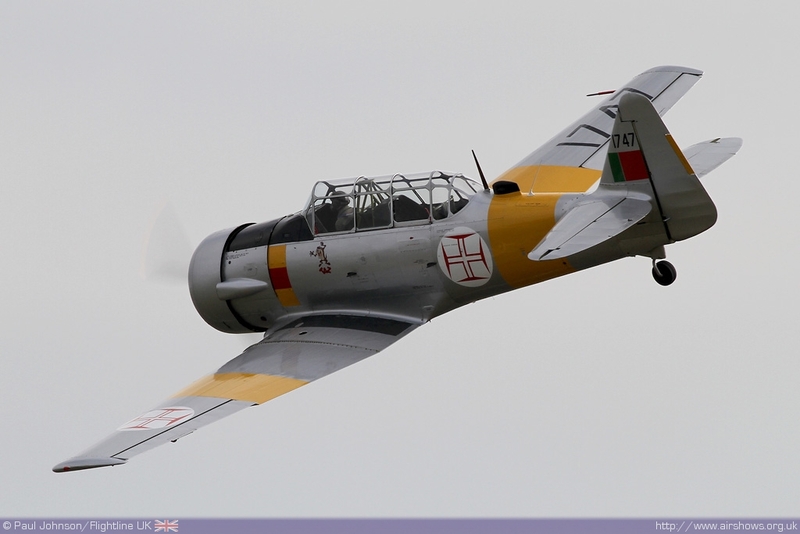 The shape is a familiar one, not only did the Chinese licence build the type as the Nanchang CJ-5, but Yakovlev further developed the concept into the popular Yak-52. 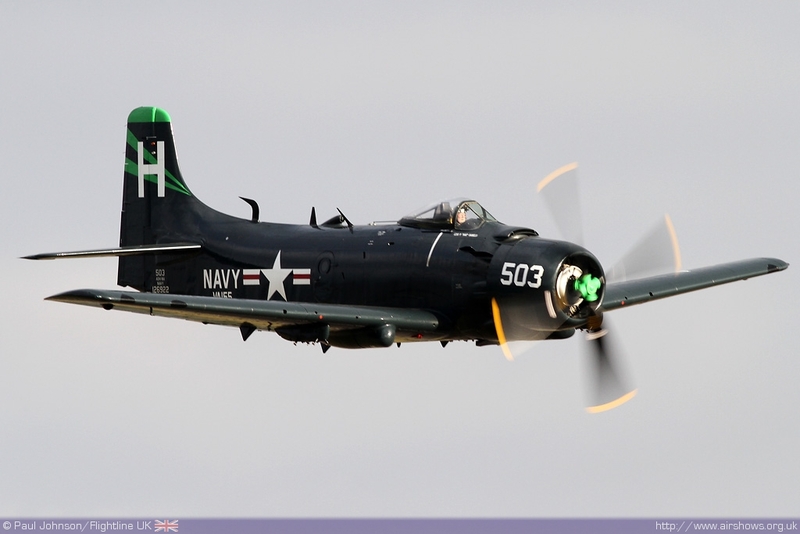 The Korean War saw the pinnacle of carrier based piston engined fighter-bombers take part. 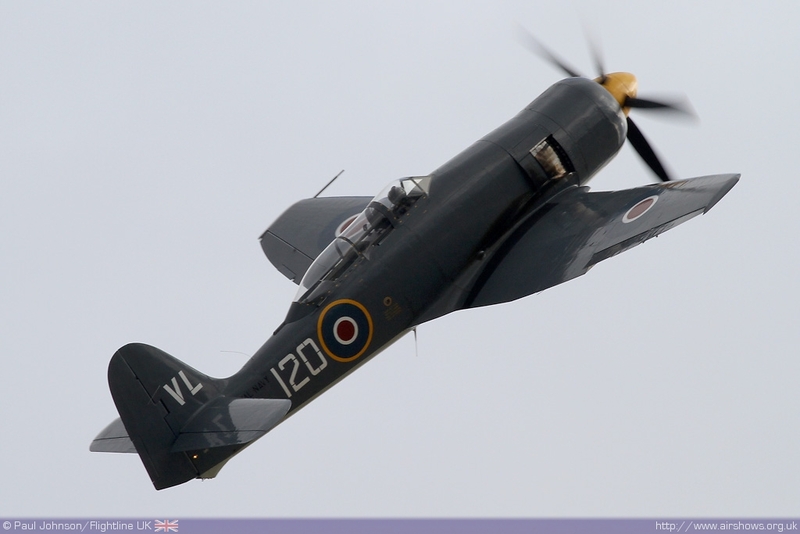 The Royal Navy Historic Flight’s Hawker Sea Fury T20 and Kennet Aviation’s AD-4N Skyraider flown by Chris Gotke and Rod Dean were paired together in the flying for a powerful series of formation passes before each gave slick solo displays. 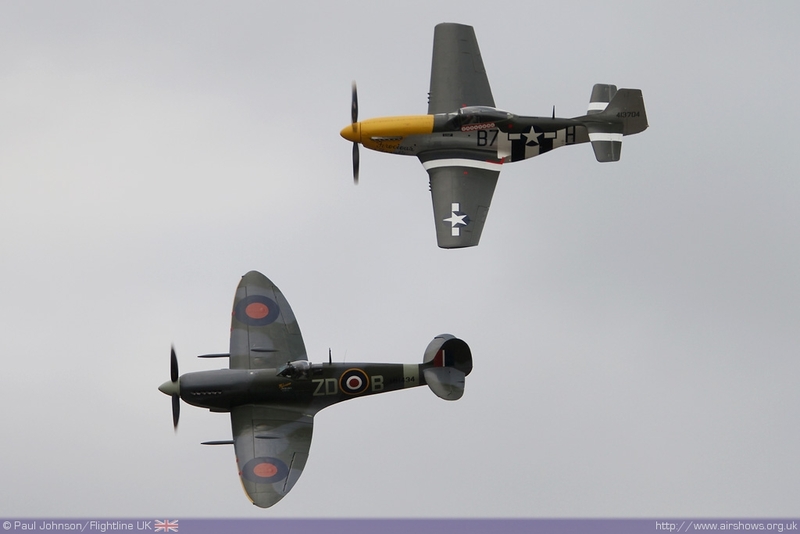 The closing items in the flying display were pure Duxford ‘class’ starting off with the Old Flying Machine Company’s pair of Supermarine Spitfire IX MH434 and North American P-51D Mustang Ferocious Frankie flown by Paul Bonhomme and Alister Kay. 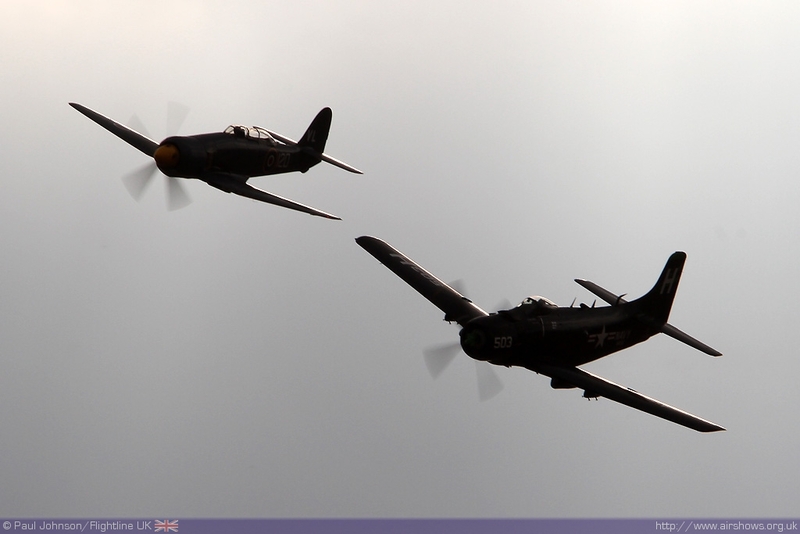 OFMC’s pairs display is a highlight of any event, but always particularly special over their home at Duxford, particularly in the late afternoon light. 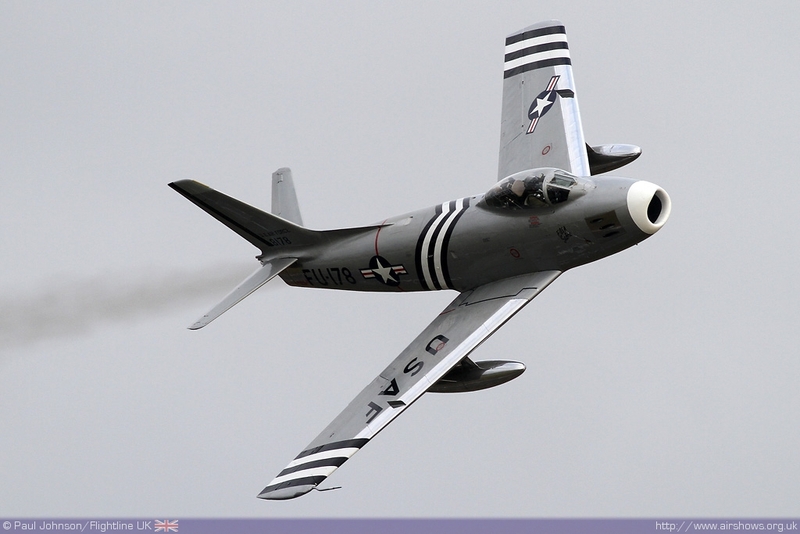 The finale to the day was the F-86A Sabre from Golden Apple flown by Mark Linney. The glorious lines of all-silver jet looked absolutely superb in the fading warm light and Mark ended his display with a zoom climb into the clouds upto 8,000ft.